Company Name: Acbel Polytech Inc.
AcBel Polytech Inc. has recognized innovation, harmony and transcendence as our business philosophy, and we always put customer satisfaction as the first priority. 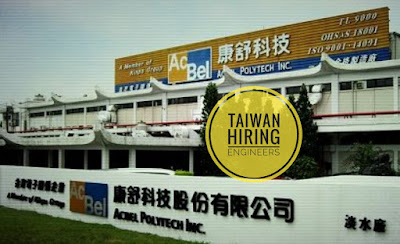 AcBel has become one of the leading developers, manufactures and sellers of power management solutions in the world and our solutions are applied to the products of a number of industry leaders. Visit and apply personally at Luzern International Manpower Services at Unit 3 Benitez Townhomes, Benitez St., Malate, Manila. Bring necessary documents like passport, UMID, Diploma and Transcript of Records.